Is the Field Spaniel right for you? Find your perfect match now! Field Spaniels are one of the rarest dog breeds in the United States. They are larger and longer than their Cocker Spaniel cousins. This breed is smart, sweet, and sensitive. Originally from England, this medium-sized and medium-energy breed can grow to between 35-50 pounds and lives an average of 12-13 years. The breed is recognized by the American Kennel Club and classified as a member of the Sporting group. WHAT IS A FIELD SPANIEL'S PERSONALITY LIKE? Field Spaniels are eager to please and full of fun. These dogs are very playful and extremely affectionate. They often love children and are usually friendly with other dogs. They also do well with other pets and strangers. Of course, it's always best to supervise these interactions with any dog. WHAT IS FIELD SPANIEL BEHAVIOR LIKE? This is a somewhat active breed. Plan for daily, moderate-length walks. Field Spaniels are playful and spunky outdoors but make for calm and polite housedogs. These dogs are alert and vigilant but not especially protective. Field Spaniels are somewhat prone to barking—they might also sing along with the radio or passing sirens. HOW EASY IS IT TO TRAIN A FIELD SPANIEL? This is a biddable breed, but their hunting instincts make them poor candidates for off-leash play outside a well-fenced area. The dog's sensitive nature requires a gentle touch. Reward your Field Spaniel with food treats, praise, and play. Socialize your pup early and often to discourage shyness. They're eager to learn and excel in tracking, rally, obedience, and agility. 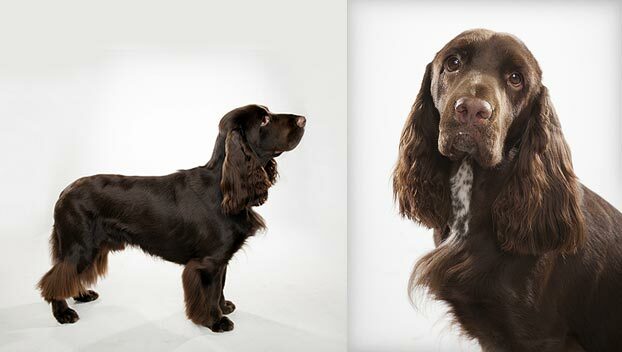 HOW MUCH DO FIELD SPANIELS SHED AND WHAT ARE THEIR GROOMING NEEDS? 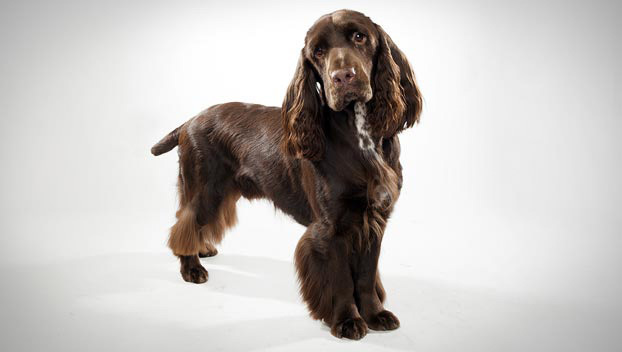 A Field Spaniel's single coat is medium-length and glossy. Their hair can be slightly wavy or flat. Field Spaniels are seasonal shedders who require occasional grooming. Plan for regular combing and brushing to keep their silky hair free of mats. Bathe your furry friend every other month or so. 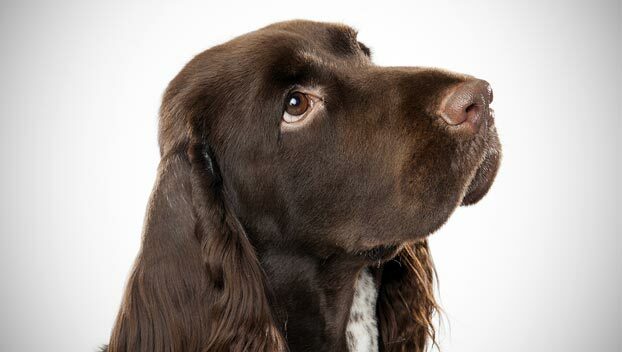 WHAT HEALTH PROBLEMS DO FIELD SPANIELS HAVE? Field Spaniels are generally pretty healthy. Some Field Spaniels develop eye ailments, autoimmune disorders, and hip dysplasia. Breed history has moved while this section is under construction. Please check out the first tab for fun facts about this breed's history. You can also read on to learn about this breed's ideal family situation. 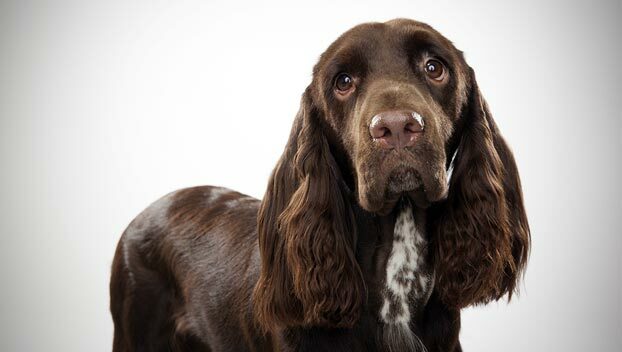 ARE FIELD SPANIELS GOOD FOR PEOPLE WITH ALLERGIES? The American Kennel Club doesn't list Field Spaniels among its breeds recommended for allergy sufferers. You can reduce your furry friend's impact on your allergies with frequent baths and brushings to reduce loose hairs and allergy-aggravating proteins in your pet's dander. Use a damp cloth to wipe off your dog after playing outside. Smaller dogs have less surface area, so they produce comparatively less dander than larger breeds — definitely something to keep in mind with a dog like a Field Spaniel! Remember that no breed is 100% hypoallergenic, and any breed can aggravate allergies. WHAT'S A FIELD SPANIEL'S BEST DAY? Take your Field Spaniel on a day hike in new terrain followed by a cozy at-home cuddle in front of the fireplace. SHOULD I ADOPT A FIELD SPANIEL? Field Spaniels are a docile, laid-back breed who want to spend time with you. 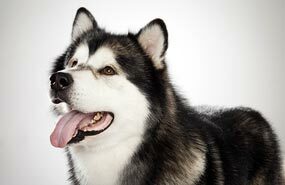 These dogs are equally well suited to warm and cold climates. They are affectionate and playful companions who don't require much fuss in the way of grooming. If you're a moderately active person looking for a sedate, mischievous, and loving companion—and you don't mind looking for this rare breed for a while—you can't do much better than the charming Field Spaniel. 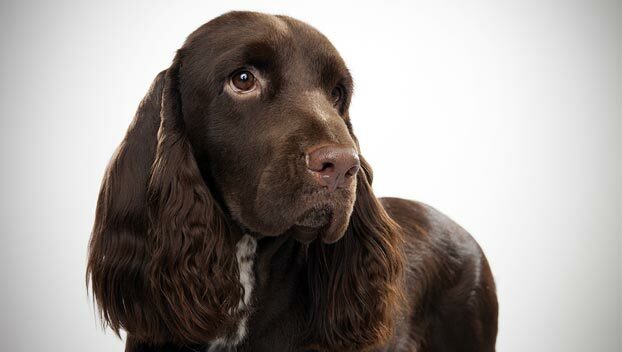 Have you decided that a Field Spaniel is the perfect dog for you? Why not be your new best friend's hero and adopt a rescue! Be sure to check out our article on what to expect when you're adopting a dog or cat. Copyright © 2019 Discovery Communications, LLC. The number-one nonfiction media company.